100% Pure Olive Leaf Extract. 120 - 750 mg Veggie Capsules. Free shipping on 3 or more bottles - USA Only. The olive leaf is the leaf of the tree. While olive oil is well known for its flavor and health benefits, the leaf has been used for centuries medicinally in various times and places. Olive leaf and olive leaf extracts are now marketed as anti-aging, immune stimulator and antibiotic agent. Below is a report from the Life Extension Magazine (June 2013) on the health benefits of Olive Leaf Extract. Oleuropein is responsible for most of olive oil's antioxidant, anti-inflammatory, and disease-fighting characteristics. Olive leaf extracts show tremendous promise in preventing or mitigating conditions as diverse as hypertension, heart disease, diabetes, cancer, stroke, Alzheimer's, and arthritis. The Mediterranean diet is renowned for its ability to reduce the risk of cancer.38,39 While numerous aspects of the diet contribute to this risk reduction, there's growing evidence that olive oil-and specifically its oleuropein content-are key components of the diet's anti-cancer effects. Studies show that oleuropein's antioxidant effects help it battle cancer formation at its earliest stages. Olive leaf extracts inhibit DNA damage from reactive oxygen species, which is the very first step in development of malignant cells. Once cells become cancerous, they rely on a host of chemical signaling factors that promote their growth and organization into tumors. Olive leaf compounds are known to inhibit growth factors and disrupt signalling pathways. 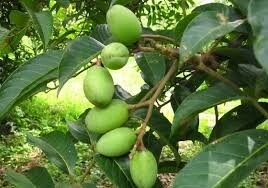 Oleuropein also suppresses an enzyme cancer cells rely on to derive and store energy from dietary carbohydrates. In breast cancer cells specifically, oleuropein reduces malignant cells' ability to respond to estrogen, the female hormone that many breast cancer cells depend on for their survival. Oleuropein inhibits the production of the "protein-melting" enzymes that cancer cells need in order to invade healthy tissues and metastasize to distant parts of the body. In one especially vivid study, mice with a high spontaneous cancer rate were orally supplemented with oleuropein. The tumors completely regressed and disappeared in 9 to 12 days.5 When the tumors were examined before they vanished, they were found to have a disordered, crumbly consistency, and no cancer cells remained alive within. Olive leaf extract is our number one recommendation for killing the herpes zoster virus (in fact, for killing all forms of the herpes virus), and here’s why... Back in 1969, the Upjohn pharmaceutical company became very interested in olive leaf extract and began doing a lot of research and laboratory studies into the therapeutic benefits of OLE. They employed a brilliant Dr by the name of Harold Renis who became their head researcher. What Dr Renis discovered about olive leaf extract was startling. He found that OLE could kill virtually every virus, bacteria and protozoa on the face of the earth. In fact, he tested it against 3000 pathogens and it killed every single one at an astoundingly fast rate! For shingles sufferers, the best news is that all forms of the herpes virus, including the herpes zoster virus, were easily eradicated with olive leaf extract. So How Does Olive Leaf Extract Work as a Natural Cure for Shingles? Olive leaf extract contains a very powerful substance called Oleuropein, and this is what actually destroys the virus. It puts an unbreakable and impenetrable “force field” around the virus so it cannot move on to other cells and continue to grow and replicate. Olive leaf extract interferes with critical amino acid production which is essential for viruses to grow and replicate. Has been shown to kill oral and genital herpes virus and herpes zoster virus (shingles/chicken pox). OLE has the ability to contain viral infection and/or spread by inactivating viruses or by preventing virus shedding, budding, or assembly at the cell membrane. 23 years after Dr Renis’s discovery, the French also came across the remarkable viral killer known as olive leaf extract. After exhaustive studies and research into OLE, French biologists… “Found that all of the herpes viruses were inhibited, killed, or cured by extracts from olive leaf”. The final report they presented to the world was highly detailed. In fact, their findings were backed up by the citing of 28 references on the anti-viral qualities of Oleuropein. So this wasn’t some rinky-dink type of study. It was very in-depth and well documented. Natural Cure for Shingles – How Else Does OLE Keep the Herpes Zoster Virus Away? Virtually everyone in the health field will agree that when your immune system becomes weak or impaired, this is the prime time when you will get an outbreak. The reason for this is simple… If your immune system is weak, it doesn’t have the firepower to fight off the virus (or any virus for that matter). In addition, if your immune response is low and you have other problems going on in your body, your immune system will be busy fighting these problems and have nothing left to give to fight off the zoster virus. Your immune system is much like your bank account. There’s only so much to go around (spend) depending what your balance is at the time. If your balance is low then there’s not much to give (spend), but if you’ve got loads of cash in your account then you can give (spend) whatever you like and not have to worry! So your immune system is your bank account, so to speak. You must keep it topped up to the maximum amount if you want to fight off all viruses, infection and disease. The beauty of olive leaf extract is it’s one of the best immune builders in existence. And once you get your immune system to the “full” level, no virus - including the painful shingles virus - will be able to touch you again! Natural Cure for Shingles – How Much OLE Do You Need To Take And For How Long? 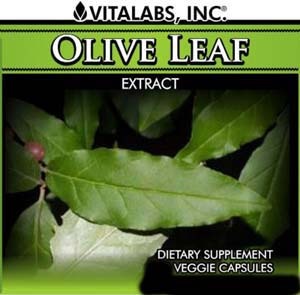 Olive leaf extract comes in various potencies, from standard to super strength. We recommend you avoid the regular strengths, and instead, go for the super strength varieties. To use successfully as a natural cure for shingles, you need the most potent formula available and the standard varieties just aren’t strong enough for this. You must make sure that the formula you purchase has an Oleuropein content of 20-25% or more (at least 700-750 mg’s). When it comes to how much OLE you need to take, we suggest you disregard the directions on the bottle. 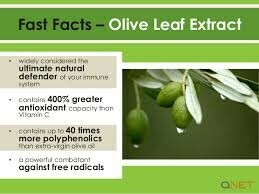 Olive leaf extract is not toxic or harmful to the body in any way so you can safely take more than what’s recommended. We suggest you take double the recommended amount in divided doses throughout the day (before each meal) for the first six weeks then drop back to the maintenance dose after that. You must also take OLE on an empty stomach at least 20 minutes before food for maximum effect. If you find that it makes you feel a bit woozy in the stomach then start on the recommended dose on the bottle first and slowly build up to double the amount within the first week or two. Finally, in regards to how long you should take olive leaf extract for, our recommendation is… for good! Olive leaf extract is a potent “cure all” medicine and immune booster, so for this reason it’s a very good idea to continue to take OLE indefinitely. Of course, this would be a personal decision but we would highly recommend it. PLEASE NOTE: NO CLAIMS ARE MADE OR IMPLIED THAT OLIVE LEAF OR ANY OTHER PRODUCT ON OUR WEB SITE CAN DIAGNOSE, CURE, MITIGATE, TREAT OR PREVENT CANCER OR ANY OTHER DISEASE. ALL INFORMATION IS PRESENTED FOR YOUR INFORMATION ONLY AND NOT MEANT TO BE MEDICAL ADVICE. WE DO NOT PRESENT GRAVIOLA AS A DRUG. Place you order on line or call us at (530) 475-2138.